Ubuntu TV is a turn-key OS for the next generation of connected televisions, bridging the gap between manufacturers and the content industry. TV used to be a hardware business. As consumer expectations change, fuelled by the emergence of TV substitutes like tablets, it’s software that makes all the difference. Post-sale revenue and long-term customer relationships are clearly vital for TV makers. Yet for a specialised, hardware-oriented industry facing tightening margins, they bring complexity — managing software, managing regional content distribution and managing network services are challenging. By partnering with Canonical, you can move faster into a world defined by the quality of online services, rich content, software updates, device security and developer ecosystems. Our focus on design and user experience means that everything built with Ubuntu is as user-friendly as it is attractive. And our expertise in delivering updates to systems in the field means consumer relationships can be nurtured, while the security of the platform is maintained. If you’re a satellite or cable TV operator, your customer relationships are vital. Consumers traditionally look to you for their entertainment. But the risk of being cut out of their buying process is increasing, with tighter integration of online services directly into the television. The next generation of televisions are likely to bypass set-top offerings entirely, in favour of fully integrated content services. So while many content providers want to control the media pipeline from the internet to the user — to the extent of becoming ISPs in their own right — it might not matter for much longer. Unless you’re in the TV, you won’t be visible to the customer. Ubuntu TV bridges the gap between content providers and television manufacturers, enabling both to deliver tightly integrated, holistic home theatre experiences. It ensures that content providers do not have an impossible matrix of screen vendors to engage with, and that TV makers do not have an impossible range of SKUs to manage. Our platform. Your apps and services. Ubuntu’s open platform means you can integrate your own applications and services. You can build on the standard television applications in Ubuntu, or add your own. Ubuntu’s established developer platform is well understood in the embedded and consumer software industry. Add the widespread adoption of cross-platform HTML5 toolkits, and you have a healthy market for software on Ubuntu devices — reducing cost and improving time to market for software enhancements to your television. We know you need a services framework that can be shared between industry players, creating an ecosystem larger than any one brand. So although the Ubuntu One services framework can’t be white-labelled, it can be extended with services specific to partners. Revenue for long-term services is shared, ensuring that our mutual interests in the quality of customer experience are aligned. Just like the Ubuntu PC, Ubuntu TVs feature our online store, the Ubuntu Software Centre. It gives developers one route to multiple platforms — and gives your customers more choice. Building your TV with us gives you access to a deep pool of developers and applications — a pool that continues to grow. In a world where every country has unique applications (especially in media and content) the depth of the Ubuntu ecosystem means you can provide a great experience anywhere in the world. Ubuntu TV joins the Ubuntu Desktop in the range of form factors that make up the connected lifestyle. We’ve designed solutions for all major device categories: desktops, phones, tablets and televisions. Our services framework and core operating system — widely understood by developers — are consistent across the range, representing a single, open platform. Only the user experience for each form factor, characterised by the Unity interface, is adapted specifically for that device. This makes Ubuntu especially practical for manufacturers in many product categories. Today, Ubuntu TV joins the Ubuntu Desktop in our family of form factors. Tomorrow, we’ll be adding more to the range. Plays well with Windows. And iOS. And Android. Future-proof your television with an OS designed to be managed and updated and enhanced in an internet world. The home network connects multiple devices running a wide range of operating systems. Phones, PCs and TVs all generate and share information. But thanks to Ubuntu One, the services framework in the Ubuntu platform, the Ubuntu TV can stream content with any other device, whether it runs Windows, iOS or Android. Ubuntu devices can be updated at any time, so services can be enhanced throughout a device’s lifetime. Compatibility with new protocols, platforms and device categories can be added as and when they are needed. The goal is constant enhancement and improvement to the customer experience with Ubuntu devices — your devices — and long term value in our relationships together and with the consumer. Ubuntu is the world’s favourite free software desktop. From the cloud to consumer electronics, it’s the trusted OS. Developers love the Ubuntu Desktop because it includes lifetime security updates and is released with updated components every six months. 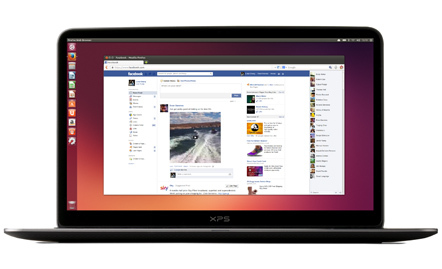 Industry loves the amazing hardware compatibility that ensures Ubuntu runs on virtually any x86 or ARM device. Ubuntu is the leading open Linux on ARM, for both servers and consumer electronics. Canonical leads the global ARM Linux ecosystem, especially in Taipei, where ARM is a game changer in the traditional PC and server market. All over the world, Canonical expertise helps our partners get new products to market.